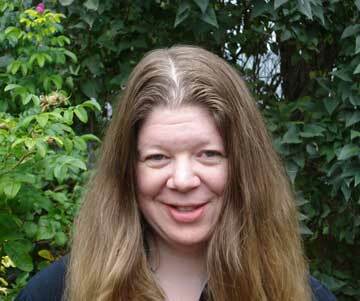 You can tighten your prose and make it more accurate by reducing modifiers and eliminating extraneous words. Let me show you how. 1. Start with your completed manuscript. Now delete every second adjective or adverb and re-read the story. Do you miss any of them? You can always put them back later but first, try to strengthen the noun or verb that it modifies. Is there a more active verb you can use? (eg. Strolled, sauntered, ambled, or shuffled instead of walked.) Is there a more concrete noun you can use? (eg. Runners, loafers, sandals, Nikes or army boots instead of shoes.) Think about the mental picture you are creating. Sauntered gives us a very different image than shuffled; someone wearing sandals would project a different image than someone wearing army boots. Every word you use must contribute to your story. 2. Once you are confident that you need all of the remaining modifiers, use your word processor to search for fillers such as: began to, started to, going to, etc. You can generally delete these as they dilute your verbs and contribute little to the story. She started to walk toward the door. He began to gather wood for the fire. She walked toward the door. Or better yet: She plodded to the door. He gathered wood for the fire. Or: He gathered wood to build a fire. 3. Finally, do a search for “it was,” “there were,” “it is,” “there are,” etc. Try to eliminate as many of these as possible by restructuring the sentence. There were several long tables filled with salads, fresh fruit, sandwiches, pies, cakes and other rich desserts. Long tables groaned under salads, fresh fruit, sandwiches, pies, cakes and other rich desserts. Long tables overflowed with salads, fresh fruit, sandwiches, pies, cakes and other rich desserts. Stronger verbs and fewer modifiers tighten your writing. What's more, they reduce the number of words used, so you have extra to "spend" on important things. Following these steps with all of your manuscripts will result in crisper, clearer and more saleable writing. This has stuck with me for many years. I grew up believing that brave and fearless were synonymous. But if someone has no fear (and, obviously, no common sense), why is it a big deal to encounter danger? The brave person is the person who has lots of fear, but who still does the necessary or honorable thing. I’ve seen that type of bravery this past month as our long-term editor and friend, Sandi Rog, has faced an aggressive stage 4 cancer with T-cell Lymphoma. 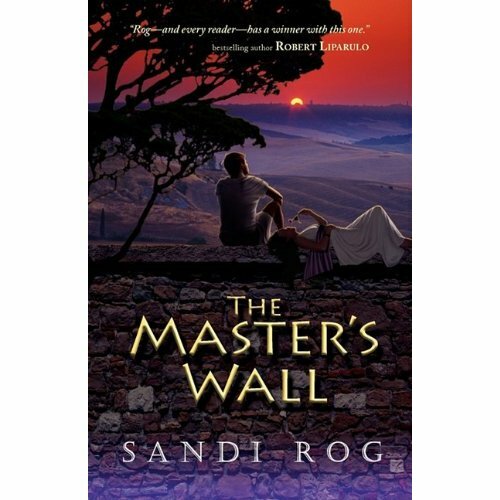 Unbelievably, she was hospitalized for a brain tumor (the secondary cancer discovered first) on the very day DeWard Publishing released The Master’s Wall, her historical fiction. Sandi faces weeks of chemo, radiation, and a bone marrow transplant. Still, this sweet and talented warrior keeps her faith--and her sense of humor. She passes out bookmarks from her hospital bed, and she’s even contemplating setting up a book-signing table there. Please keep our Sandi in your prayers. Better yet, support this mother of four by purchasing The Master’s Wall. 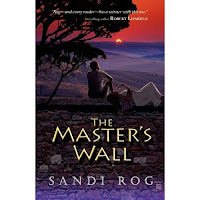 In light of all that has transpired, her publisher has generously agreed to donate to Sandi's family an additional $1 per book above and beyond all scheduled royalties. You can order your copy—and copies to give as Christmas gifts—at Amazon.com, among other places. Avoid Carpal Tunnel Syndrome With Exercise! Carpal Tunnel Syndrome is a nasty pain in the hand and wrist that often radiates up the arm. It's an overuse injury commonly associated with repetitive activies such as keyboarding, and writers are prone to this condition. But some preventative actions may delay and alleviate mild symptoms. Simple exercises may help writers avoid this painful way of life. Start now! STRESS BALL BREATHING You will need two inexpensive soft rubber stress balls. Still tall in a chair with feet flat on the floor. Hold a stress ball in each hand and extend your arms to the sides at shoulder height. As you slowly raise your arms overhead, inhale deeply and simultaneously squeeze the stress balls five times until both arms are straight up. Reverse the action by exhaling as you lower arms and squeeze the balls five more times. Repeat this for a total of ten repetitions. Relax and breathe normally. Do this daily at your desk adding sets of ten as long as you are comfortable (not winded) of up to five sets of ten reps.
A 1998 study on yoga for carpal tunnel syndrome proved that exercises dedicated to extending, rotating, and increasing the circulation in the wrists noticeably improved the condition. Regular exercise reduces and prevents many repetitive stress disorders and it's never too late to get started. Coming soon! Writer Wellness, A Writer's Path to Health and Creativity, second edition in print AND digital from Who Dares Wins Publishing. Included are chapters on Yoga for Writers. Stay tuned for release information.